With the average patient out-of-pocket costs increasing to over $1,800 in 2017, there remains a significant need for more flexible patient financing options. Through Curae, we can now offer a complete financial toolset for doctors and hospitals. This is a much-needed resource for patient financing. 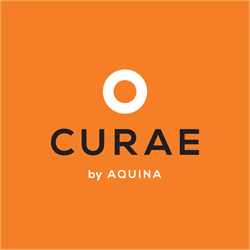 Aquina Health is proud to announce the launch of Curae to provide non-recourse-based financing for patients. Arising out of an industry that has seen patient responsibility costs continue to rise significantly each year, Curae provides immediate funding to patients, with payment made to the healthcare provider within 48 hours. While aimed directly at the patient, the service is tailored to the provider, with customizable options to co-brand with specific partners. Unlike other healthcare finance offerings, Curae’s solutions are also available to patients with less than optimal credit scores, who may be most vulnerable to rising patient responsibility costs. This full spectrum approach offers providers a one-stop financing partner to provide funding to their entire patient base, allowing them to focus on delivering exceptional healthcare services. Believing the revenue cycle model in healthcare is fundamentally broken, Curae exists to empower providers to serve more patients through a suite of flexible, non-recourse-based financing options. Headquartered in Atlanta, Curae works with healthcare providers across the United States. For more information about Curae and its solutions, please visit https://curae.com.